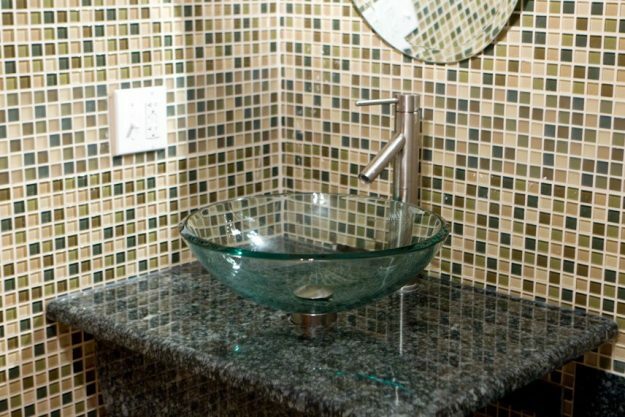 Smaller bathroom vanities and kitchen counters and islands can be easily upgraded with a renovation to natural stone. With smaller surface space, the cost of the upgrade is typically within the home renovation budget, and once you see the natural stone displays in our showroom, the difference in beauty, quality and style are evident. The three most common options used in the renovation of MN kitchens and bathroom countertops are marble, granite, and quartz. Below is a very brief introduction to each option. Perhaps the most classic of all countertops, marble has long been valued for its beauty and rich, smooth and almost glass-like look. Marble can be light or dark with minimal veining or significant patterns and variations. As marble and granite are both natural stones, no two slabs are the same. This means that every marble counter we make for a home is unique when it comes to the specifics of the stone. Granite is a harder natural stone than marble, and it comes in a greater variety of colors and patterns. As with marble, granite is a porous rock, which means we apply a sealant after installation to seal the surface, help to resist staining, and to make the countertop easy to clean and maintain. Quartz is not 100% stone, but rather a mix of quartz mineral and resin. The resin allows dyes to be added, creating an amazing array of colors. Naturally non-porous, durable and strong, quartz counters are always a popular choice for both kitchens and bathrooms in MN homes. To find out more, or to talk to our natural stone experts about counter materials and options, get in touch today at 952-469-5242. This entry was posted in Blog, Countertops. Bookmark the permalink.